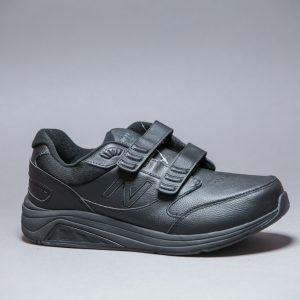 The cyclone is a great choice for a hardworking professional that wants lightweight and comfortable safety footwear. 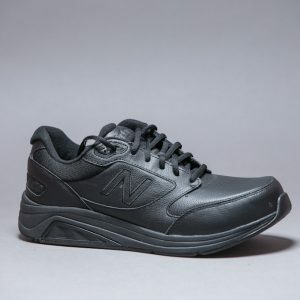 Full-grain leather upper, padded collar and tongue for comfort and ease of wear, Armor GuardTM metal free consisting of: KEVLAR® composite toe and LENZI® composite plate for flexibility and protection you can trust. Long days on the jobsite demand a boot that is up to task. 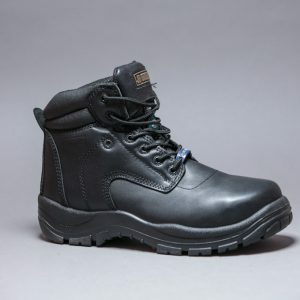 The Thunder workboot is crafted to be durable and comfortable with a full-grain leather upper and a padded collar and tongue. 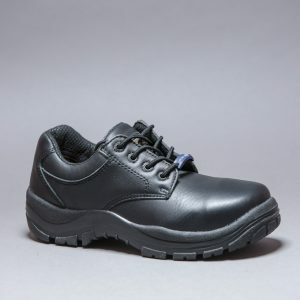 Armor GuardTM metal free consisting of: KEVLAR® composite toe and LENZI® composite plate, for flexible protection from workplace hazards, and an extra deep toe area to accommodate orthopedic devices. The Thunder boot is built for work™. 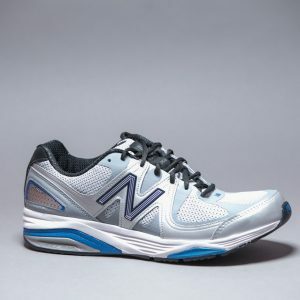 Be inspired to take a hike in the new 1400, the innovative update to the New Balance 1569. 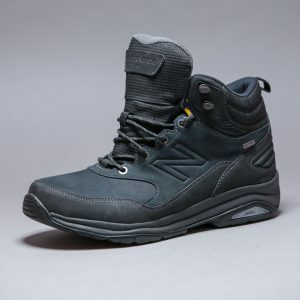 A boot that feels like a walking shoe but is built for rugged terrain, it features a waterproof membrane, leather upper and gusseted tongue help keep you dry. 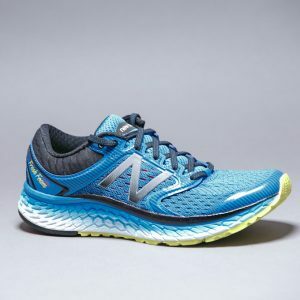 Plus ROLLBAR technology for rear foot and midfoot stability to keep you on the right path. 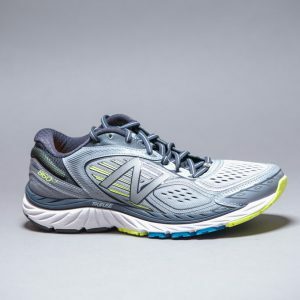 Go another mile, then another with superior motion-control technology that supports your stride. 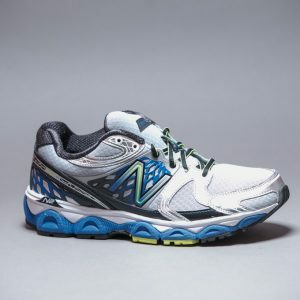 The 1340v2 stability running shoe for men was designed for overpronators with a system of support tech and cushioning that helps you stay comfortable and in control. 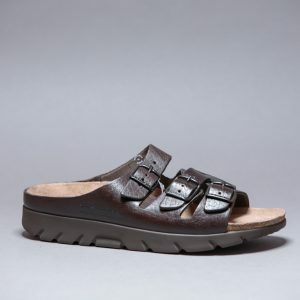 Style M1340SB3 is approved Medicare/HCPCS code = A5500, may be eligible for Medicare reimbursement. Conquer any road you begin. 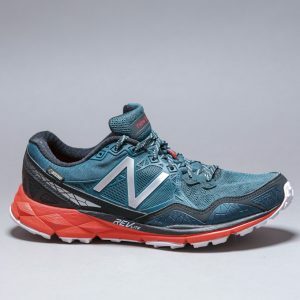 The 910v3 men’s trail shoe combines a REVlite midsole, FantomFit overlays and a snug bootie construction for a comfortable, yet powerful, ride. 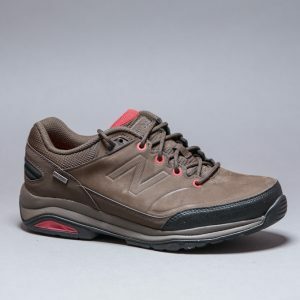 Whether you’re hitting the trail or heading to lunch post hike, this men’s outdoor shoe gets the job done with style.